This is one healthy Italian dish that’s sure to be on your weekly menu and the best thing is that it’s so easy to make. 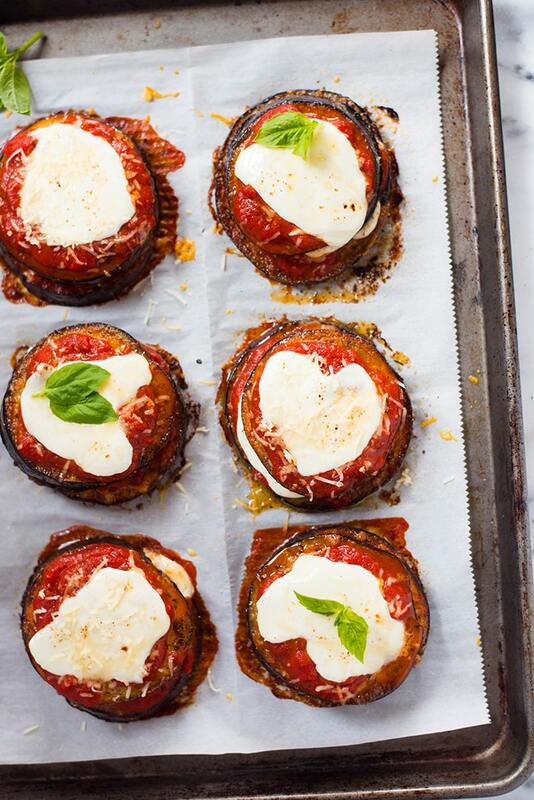 Have you tried making healthy Easy Baked Eggplant Parmesan? Let me teach you how to make it clean, paleo, and gluten-free! For anyone who’s trying to eat healthy, finding a dish to love can sometimes be quite a journey. You have to go through the process of researching different recipes and experimenting on each dish until you find one that you’ll start to love. Baked Eggplant Parmesan is one of those dishes that, after your first taste, you can’t easily forget. And if you’re like me, each bite brings you back to a favorite Italian restaurant you had in your childhood like I did with mine — La Trattoria in Ventura, California. I don’t cook with eggplant too often, even though this is one of my favorite dishes. But after following this Baked Eggplant Parmesan recipe, I believe it’s time to change that. How many calories are in Baked Eggplant Parmesan? One thing you have to know about this dish is that it is commonly served in Italian restaurants. It is, however, very easy to recreate at home that you won’t have any trouble creating it several times a week. The main difference with ordering this at a restaurant and making it at home, however, is that when you prepare your own ingredients, you know what goes into the dish. A serving of this dish from a restaurant can include over 1300 calories. But if you prepare this dish at home, you can lighten it up to just 260 or 400 calories per serving. Of course, it will depend on the ingredients you use. But you will definitely be able to lower the number of calories in the dish when you prepare it at home. How thick do I cut the eggplant for Baked Eggplant Parmesan? 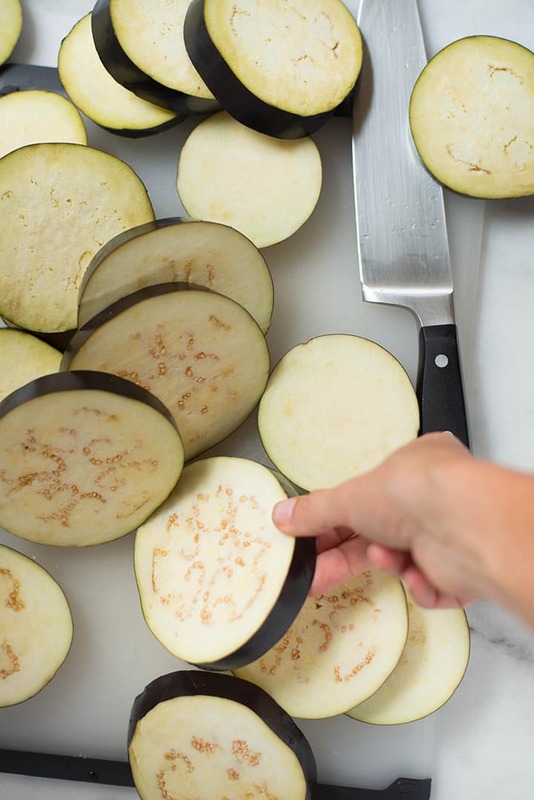 Most recipes recommend that you trim the eggplant and slice it ¼-inch thick before preparing. This ensures that each piece gets equally cooked and will have a good bite to it. Once you’re done slicing the eggplant, you can choose to sprinkle it with some salt and allow to rest for a few minutes. The salt will draw out moisture from the eggplant so make sure you dry them before cooking. I opt not to do this step because — again — I like it as easy as possible, but it’s certainly an option if you’d like to do it. Eggplant contains a lot of water so this helps remove that to make the eggplant as crispy and not soggy as possible. How long does it take to make Baked Eggplant Parmesan? One of the best reasons why people love to follow this Baked Eggplant Parmesan recipe is that it is so easy to make. You can have a delicious yet healthy dish under an hour. Not only that, you do not need to wait around for the dish to finish cooking since it is baked in the oven. 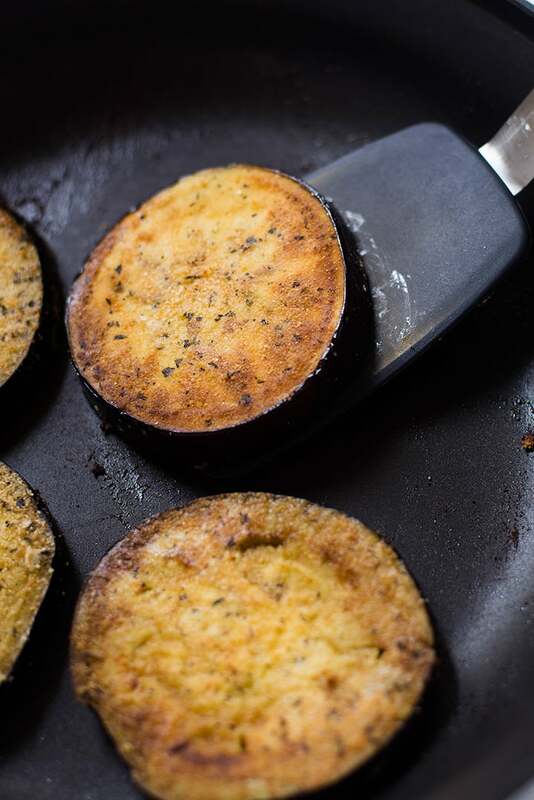 With the extra technique of frying the eggplant slices before baking, you always get a dish that has a nice, flavorful crisp to it, too. 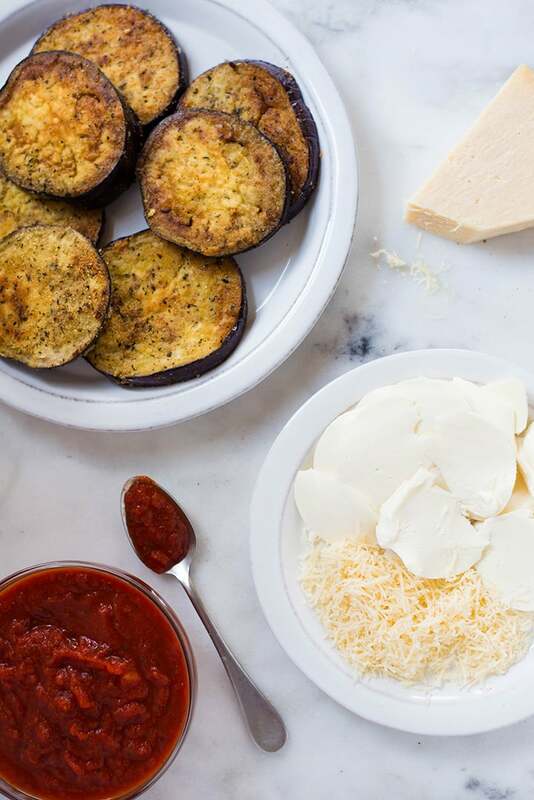 There is no right or wrong way to prepare eggplant for this easy Baked Eggplant Parmesan recipe. While there are some who swear to peeling the skin of the eggplant before cooking it, others say that it isn’t necessary. It truly is a personal preference. If you prefer having a deep purple color contrasting the hue of the sauce, you can opt to keep the skin on. Not to mention, the skin of the eggplant contains vitamins and additional flavors, which is another great reason to leave on the skin. You can choose to keep the skin on if you prefer it that way. It’s also much easier to prepare, to be honest. If you want to remove the skin, just peel it with a vegetable peeler or use a sharp knife and slice it off. 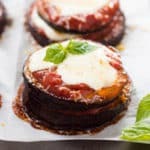 How do I make a healthy tomato sauce for Baked Eggplant Parmesan? 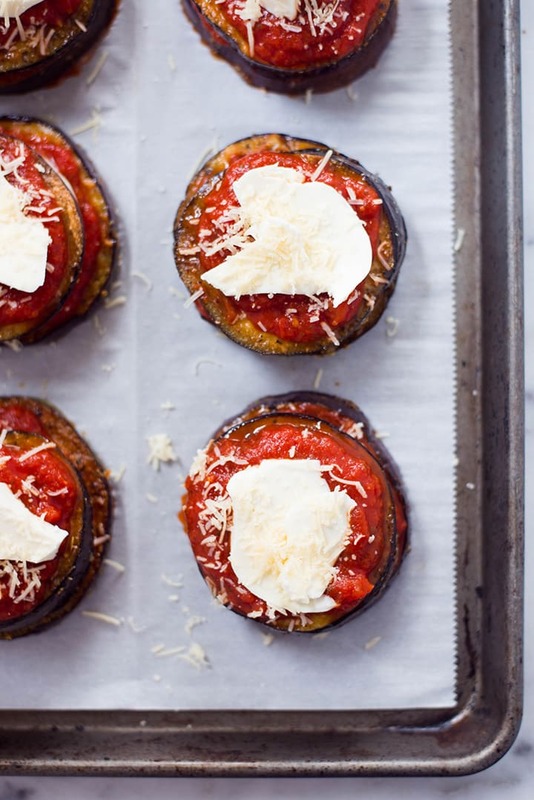 When it comes to making a healthy Baked Eggplant Parmesan, the secret is with its tomato sauce. 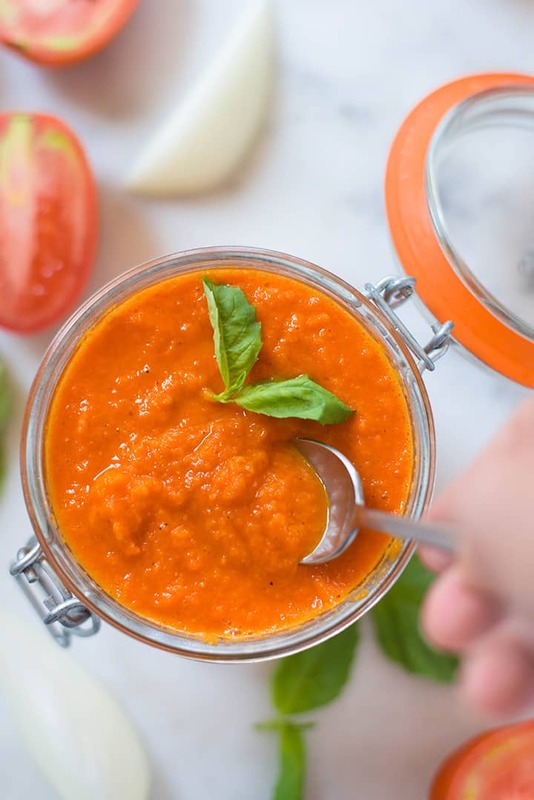 While you can definitely save time by using store-bought tomato sauce, you’ll be more confident that you’re using real, clean ingredients by making your own homemade tomato sauce. You can check out my easy homemade Roasted Tomato Sauce recipe here! How long does Baked Eggplant Parmesan last in the fridge? There are certain dishes that are best made in large quantities. Like Lasagna, Baked Eggplant Parmesan is one of them. But if you can’t finish the entire dish, you can easily store it in the fridge in an air-tight container. Or, you can choose to freeze the eggplant parmesan. If you are storing this dish in freezer, make sure to wrap it well before doing so. This way, you can preserve its flavor and quality. When you’re ready, you can simply take it out of the freezer and reheat it in the oven until heated through it. If stored properly, it can last up to two days in the refrigerator. The texture will become slightly more soggy, especially upon reheating, but it’ll still taste yummy. When it comes to pairing ideas for Baked Eggplant Parmesan, people usually think of wine. This is because the dish stands out well on its own. At the same time, it is also a very rich and filling option for anyone who wants to have a healthy entrée. When you’re trying to eat healthy, it’s always a good idea to look for lower carb options, especially when you have a nutritious alternative. For some people, that means giving up staples like bread or pasta and going for healthier alternatives. 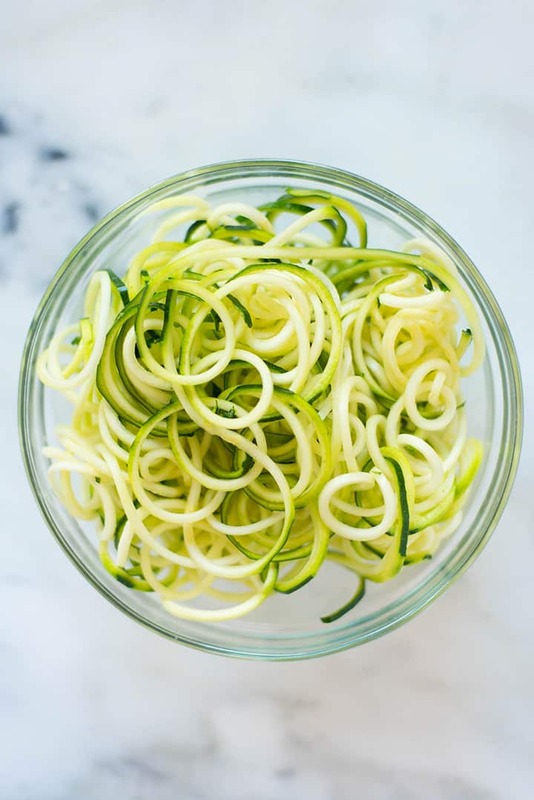 If you’re the type of person who can’t seem to give up pasta, the best alternative is Zucchini Noodles. The good thing about this dish is that you can easily cook it with anything. 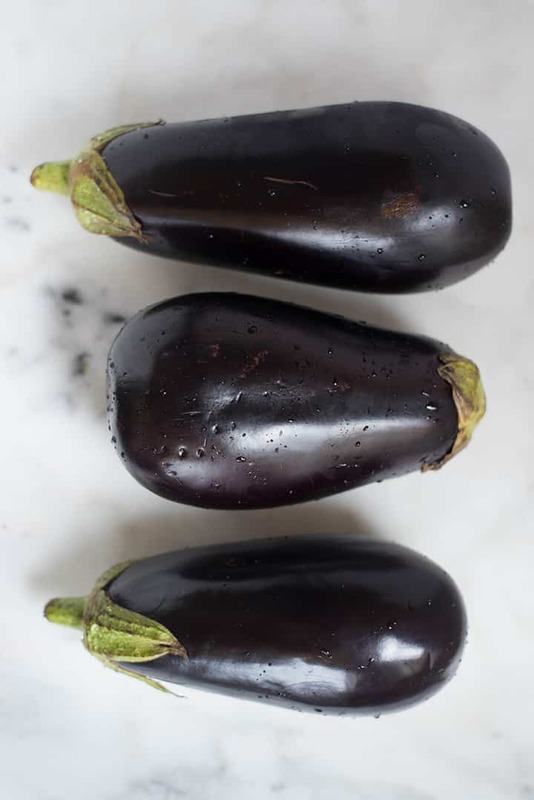 You can even cook it with some olive oil and garlic and enjoy it as a perfect pair for easy Eggplant Parmesan. Another healthy pairing that you can use with this dish is Roasted Tomato Sauce. You can use this sauce together with a Cauliflower Pizza Crust recipe and you’ll have a hearty meal with the two. 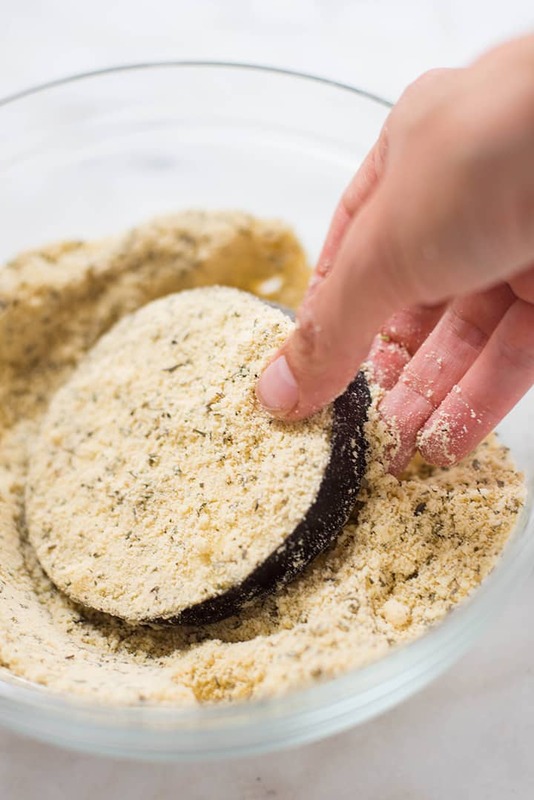 Or you can opt to use this recipe together with your Baked Eggplant Parmesan so you have a dish that you made from scratch. Since these two are so easy to make, you won’t need an occasion to enjoy it. If you’re not fond of using zucchini as a noodle, another option you can use is spaghetti squash. 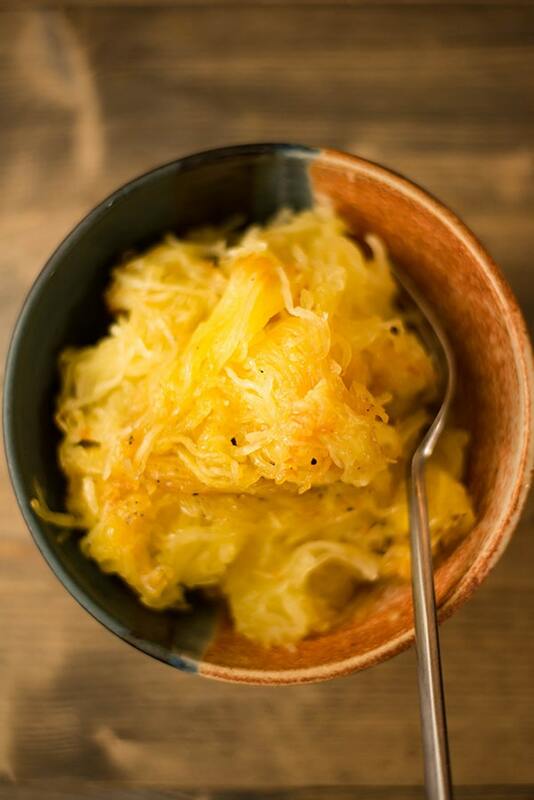 You can use this recipe for Spaghetti Squash Noodles to substitute with pasta. Since it contains only 42 calories (pasta has 221 calories, gulp! ), you’ll be enjoying a guilt-free dish. They will go perfect with a tomato-based dish like Eggplant Parmesan. When you’re ready to eat the dish again, remember to take out a small portion that you will be using. This helps preserve the dish since you won’t have to reheat everything. To reheat the dish, make sure to heat the oven to around 450 degrees Fahrenheit. Use an oven-safe dish and cover with foil. This practices helps ensure that the dish stays moist and as hot as possible. During the last 10 minutes of cooking you can take off the foil from the pan so that the casserole can create that gorgeous, crisp brown on top. You can follow this video along to make sure you create the dish perfectly. If done right, you’ll love how delicious this dish tastes and you’ll want to cook it every chance you get. 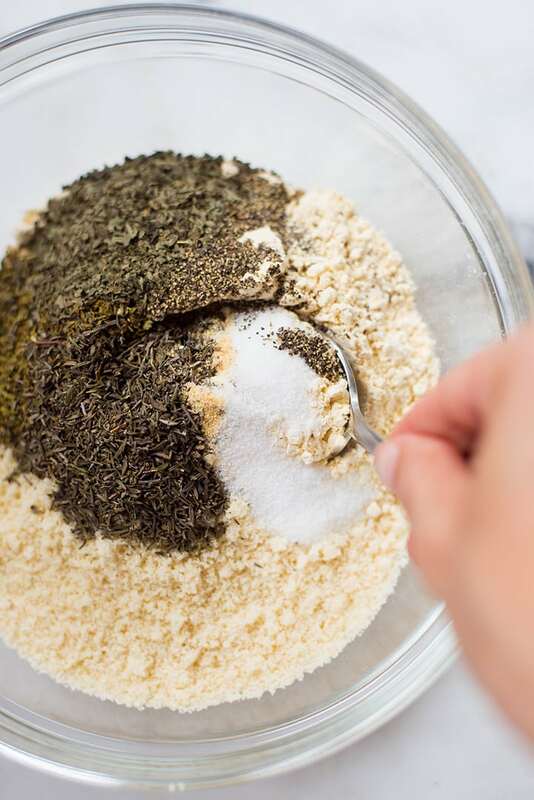 In a shallow dish, combine the almond meal, garbanzo bean flour, oregano, thyme, basil, sea salt, and pepper. Heat 1 tbsp. of the olive oil in a large skillet over medium-high heat. Dredge each eggplant slice in the almond meal mixture. Shake off any excess coating. Transfer 3-5 eggplant slices at a time to the hot pan, depending on size. Try not to overcrowd the slices. Cook until golden brown on each side, about 2-3 minutes per side. Add more olive oil, as needed, to keep from sticking. Repeat with the remaining eggplant slices. Place browned eggplant on a dish and set aside. 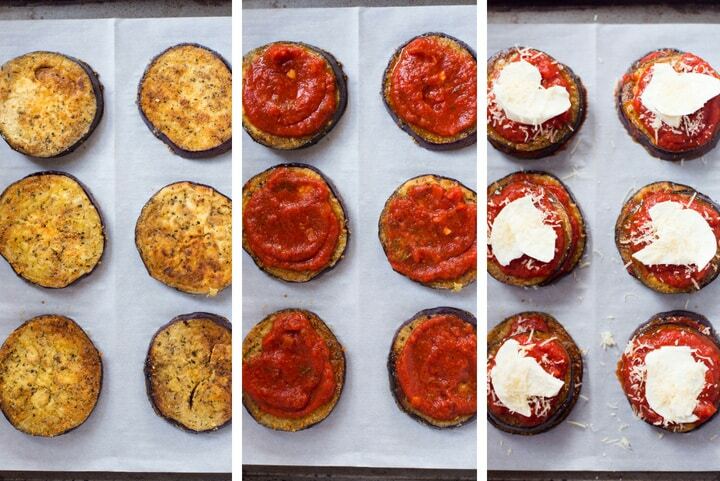 Once all slices are cooked, lay the largest eggplant slice onto the baking sheet. Gently spoon about 1-2 tbsp. of the tomato sauce over the eggplant until coated. Place a layer of sliced mozzarella evenly over the tomato sauce. Sprinkle grated parmesan over the layer. 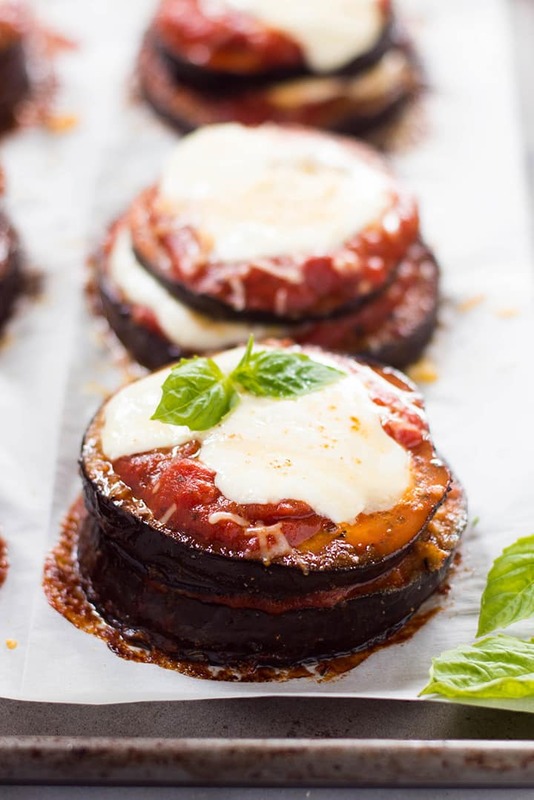 Place the second largest eggplant slice next and repeat steps for the tomato sauce and mozzarella. Sprinkle parmesan over the top layer. Repeat with the remaining eggplant, tomato sauce, parmesan and mozzarella. Bake until just beginning to brown, approximately 10-15 minutes. Remove from oven, garnish with fresh basil, and serve. 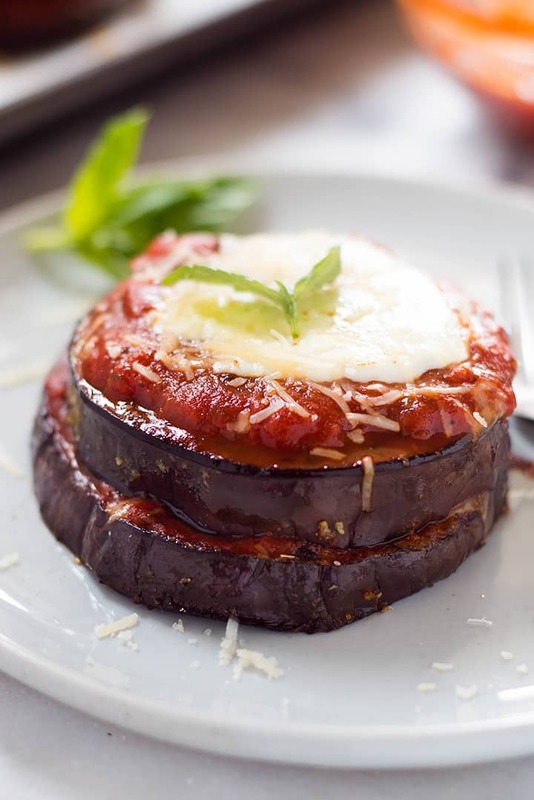 Hi Lacey, I am new on your site and I am now looking for a baked eggplant parmesan recipe…m y hubby’s recommendation…. and agreed with him.. I am reading the reviews and cannot find one that says they actually made it. I really like the presentation of the recipe and will make ours this week. Looks YUMMY too! or have tried the recipe. It’s disheartening but don’t hold your breath for actual ratings of recipes. We need to have a video for one of your favorite recipes ever. Yea, I love it so much! Video is finally added! Woohoo!! This looks delicious! I just wanted to let you know that I have a food photo submission site at Simply Creative Recipes and I am linking to this post if you don’t mind. You are welcome to submit your recipes at my site if you’d like. Hi Alyssa. As long as you provide proper credit and you link to this article, it is ok to share this post. Thanks! Sounds lovely, but do make sure you don’t use actual Parmasan if serving this to a vegetarian, as Parmasan (and Parmigiano-Reggiano) is *never* vegetarian! Thanks for sharing – I wasn’t aware of that. Mmmm eggplant parmasen. This is a fantastic dish and looks so delicious. Thanks so much! Good luck with your new site! I will definitely check it out. This looks so great. One of my favorite meals ever is eggplan parm. Yours looks so gorgeous! I’m so with you on fresh mozz. I can’t eat parm without it!! we got some in our CSA basket this week too and tried this recipe tonight. pretty good! we were trying to find something to do with our eggplant (neither lars nor i are big fans) but saw this post and thought we’d give it a try. thanks lacey! this looks so dang delicious. again, your photos are superb Lacey! I’ve found some vegan mozzarella that I intend to use, as I have one last eggplant from my garden that needs to be made into THIS! Miss Becky, you are too kind! Vegan mozzarella, huh? I’ve never heard of that. I hope your new diet is going well. I’d love to know what you think of the eggplant parmesan if you try it out. Take care! 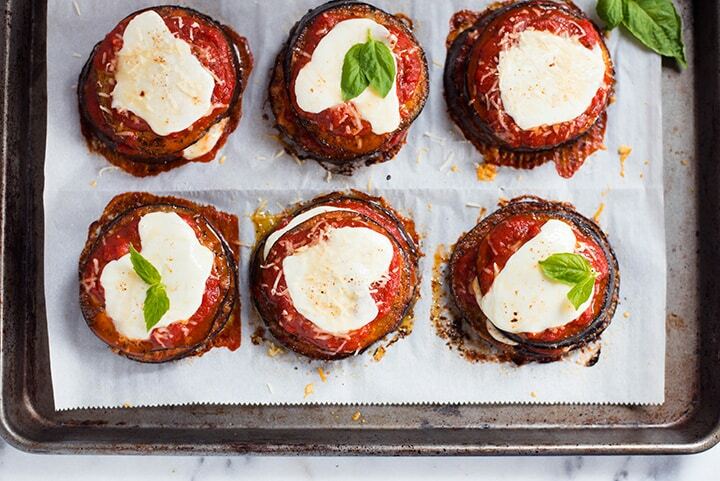 I love eggplant- this looks simply delicious! Looks delicious 😀 Although I have to admit I am not a fan of eggplant. I might try this with some zucchini. Wait a minute…I finally post a vegetarian recipe and you don’t like eggplant??? Heehee. Sorry 🙁 That’s an interesting idea with the zucchini, though. That eggplant looks amazing. And despite the many layers to it the finished product has a minimalist feel to it. Beautiful photos.